Brand: Lorann Oils and Flavors L-3030 Units: 4 fl. oz. jar Tahitian vanilla beans are intensely aromatic and known for their complex floral aroma and fruity, cherry-like flavor profile. The smooth floral notes of Tahitian Vanilla make it perfect for fruit-based confections, making it particularly popular with pastry chefs. This two-fold Tahitian Vanilla is made exclusively from Vanilla tahitensis beans sourced from Papua New Guinea. 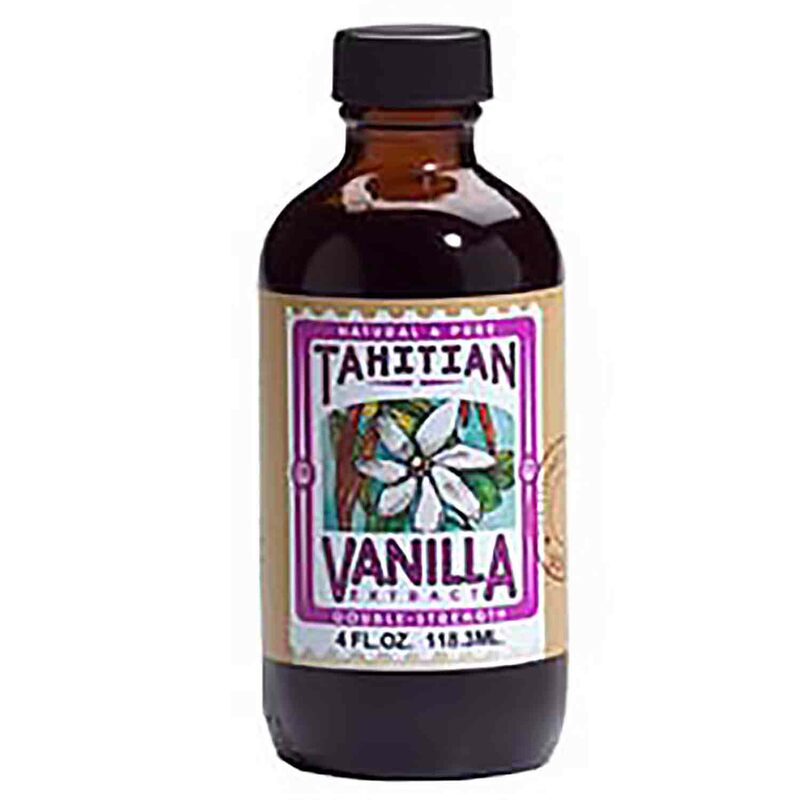 Tahitian vanilla beans are intensely aromatic and known for their complex floral aroma and fruity, cherry-like flavor profile. The smooth floral notes of Tahitian Vanilla make it perfect for fruit-based confections, making it particularly popular with pastry chefs. This two-fold Tahitian Vanilla is made exclusively from Vanilla tahitensis beans sourced from Papua New Guinea. Ingredients: Water, Extractives of Vanilla Tahitensis Vanilla Beans, Alcohol 35%.